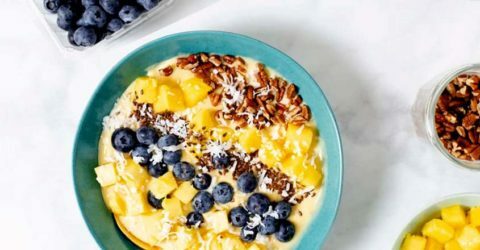 Think you don’t have time to prepare a healthy breakfast? Think again! This recipe is super quick to prepare and will keep you satisfied all morning long. Your taste buds will delight in fresh berries packed with antioxidants. Bowls are always a great idea, and so easy to put together. 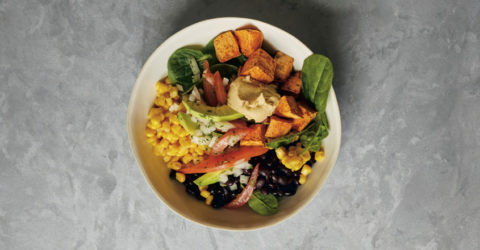 This one is made with roasted sweet potato, black beans, corn, spinach, a tomato and avocado salad, and a nice scoop of hummus. This bowl can be enjoyed as is or topped with your favorite dressing. 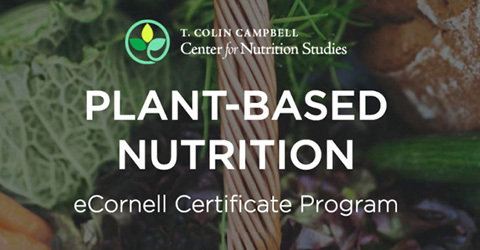 This is a craveable, nutrient-dense breakfast. Sweet potatoes contain vitamins B6, C, and D and are full of potassium, magnesium, and carotenoids (which boost immunity to disease). 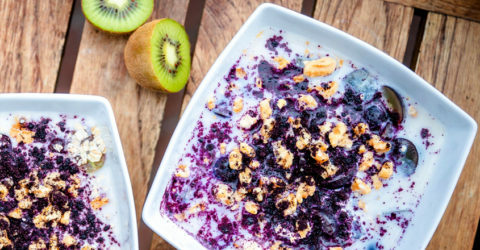 This powerhouse meal hits an even higher nutritional level when topped with blueberries and almond butter. This rich and creamy nondairy “cheese” dip is so over-the-moon good you’ll be making it again and again. 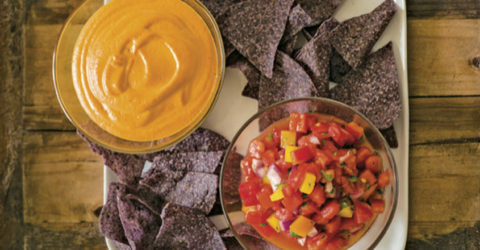 The bold flavors pair beautifully with salsa. 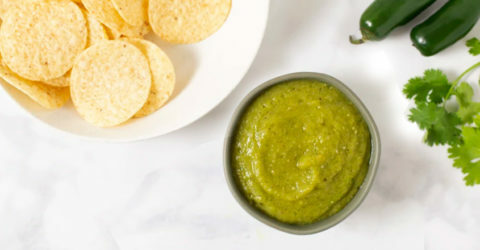 Together they can be served with a side of raw veggies or baked, oil-free tortilla chips for a healthful, crowd-pleasing snack. Basil and spinach are just meant for each other. 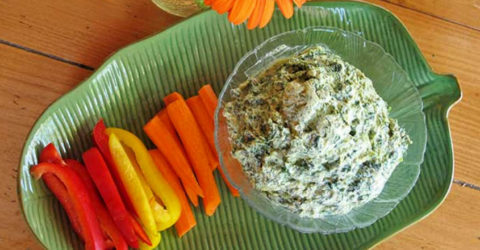 This dip is creamy and loaded with greens. It is simple to make and perfect for holiday parties and beyond. 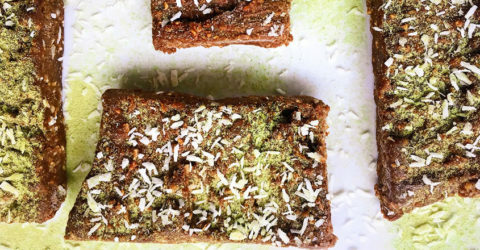 These bars are super soft, so they're the perfect hybrid of an energy bar and a brownie. 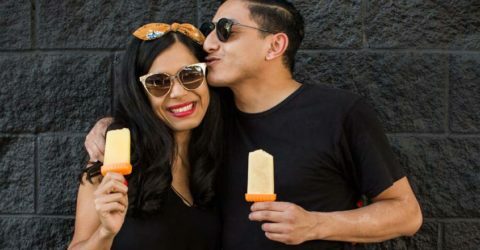 They can be eaten as a snack, with breakfast, or as a dessert. 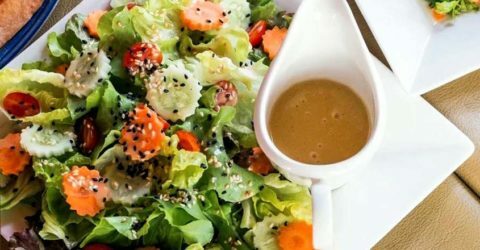 This super salad dressing recipe is wonderful tasting and balances all five tastes to make your salad even more delicious. 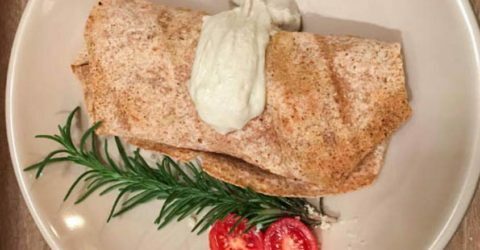 These hearty burritos are rich in fiber and protein. They are easy to make, full of flavor and super satisfying. 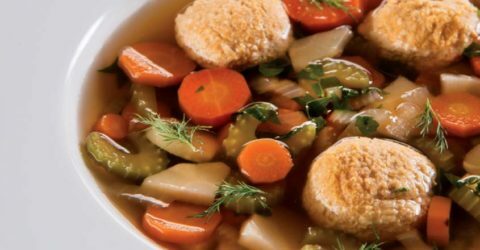 These matzo balls are just as light, fluffy, and flavorful as their conventional counterparts. 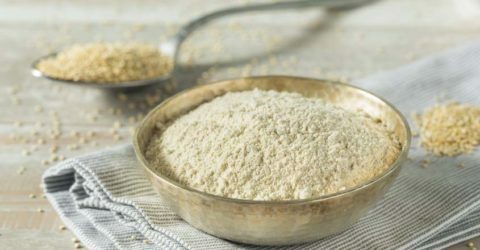 This is the all-purpose, gluten-free flour mix we use at my bakery and what I use at home. 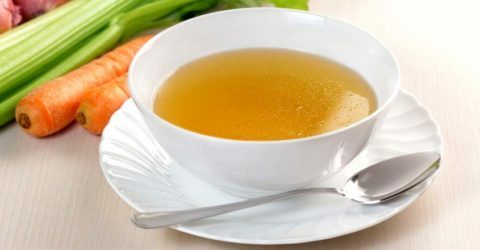 If I want a warm drink other than tea or coffee, this broth is so soothing, aromatic, and flavorful, it’s like therapy in a cup. 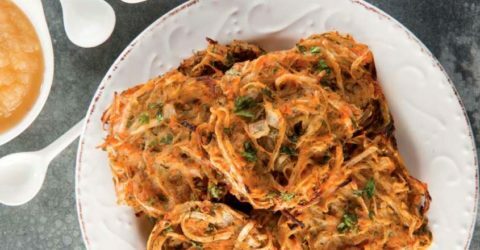 These latkes are baked, not fried, and you get the same satisfying crispiness and flavor without the added oil and fat. It’s a miracle! 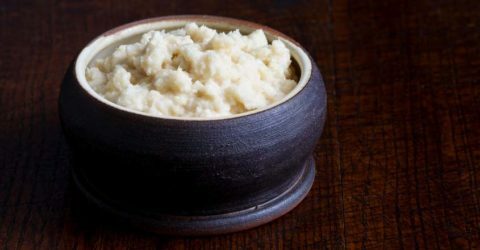 Horseradish is a very polarizing tuber root. You either love it or hate it. I love it and dab it on almost everything. 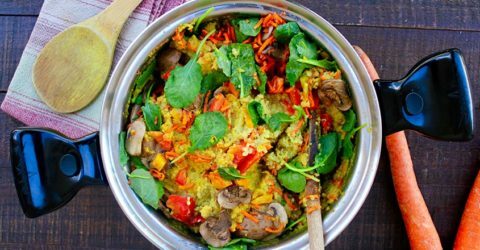 This flavorful spin on an oatmeal bowl is loaded with healthy vegetables and golden turmeric to start your day right. 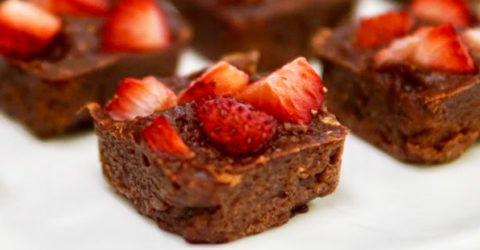 These delectable plant-based brownies are richly flavored with cocoa and fresh strawberries, and are oh-so-fudgy good. Now you can have all of the comforts and none of the unhealthy oils, sugar, and dairy products that are in normal chocolate chip cookies. 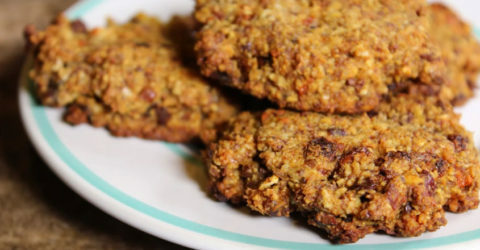 Enjoy these scrumptious cookies with a large glass of plant-based milk. 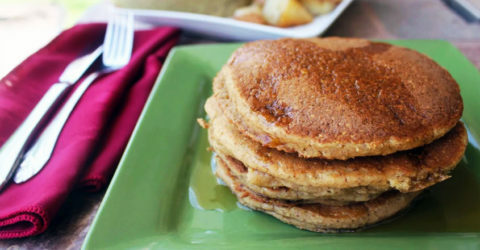 These delicious fluffy pancakes are true crowd pleasers! Everyone keeps coming back for more. Almond milk plus rice vinegar create the buttery and tangy buttermilk taste that people crave. 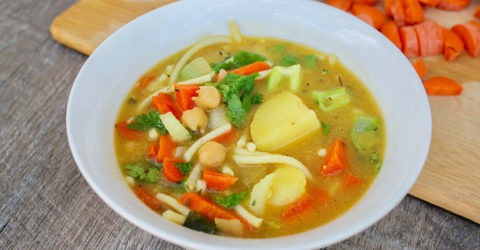 This plant-based version of chicken noodle soup is soothing, nourishing, and ready in 30 minutes. Enjoy this yummy comfort food when you are not feeling well, or when you want to warm up on a cold day. 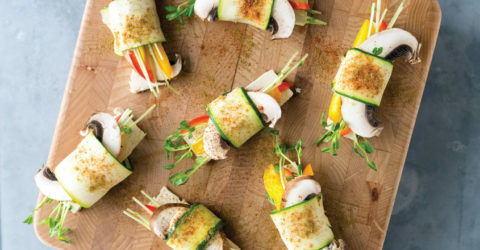 This is a simple and filling snack that’s easy to eat on the go but also perfect as a party appetizer. This dish makes a colorful addition to any holiday dinner table, whether as an entrée or a side. 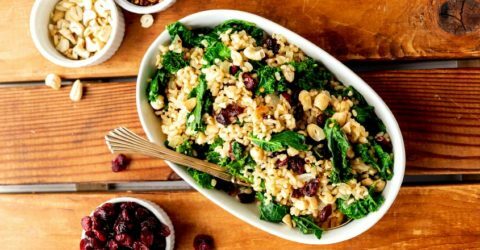 Kale and cranberries are a delightful culinary combo and equally well paired nutritionally. 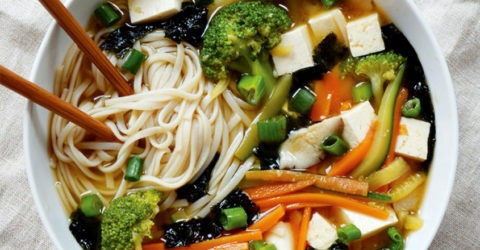 When I was little and I got sick, my mom would always make me noodle soup. This recipe gives me that same comforting feeling, and I like to keep it in rotation for rainy nights and sick days.